The pigmentation is very good. 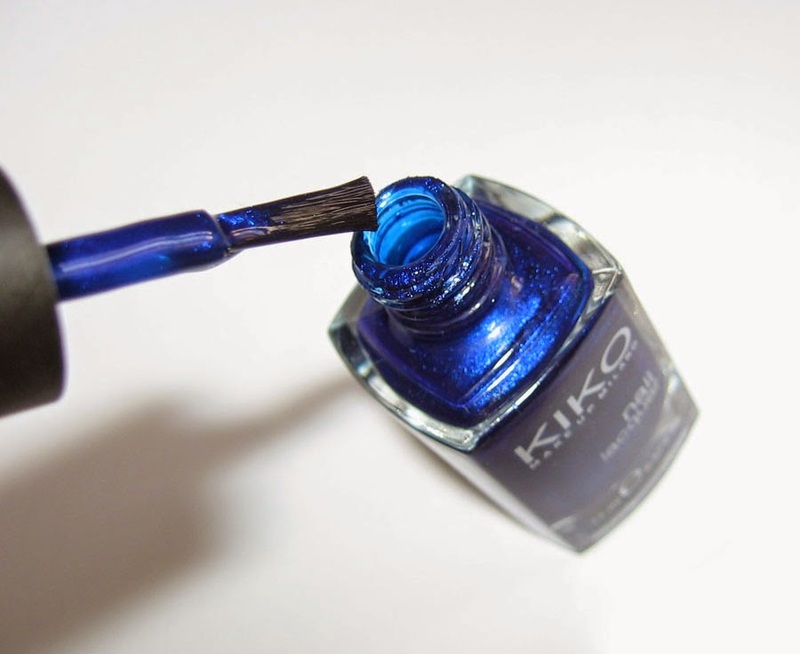 It's opaque with only one coat, but I preferred to apply two coats to intensify the color. The drying time is also good. Lets' talk about the application. I really don't like this kind of brush... It's big but straight (rectangular). This shape does not fit very well the shape of the cuticles. So the application is not so easy. I will put some images so you could see too. And now some images of my nails. 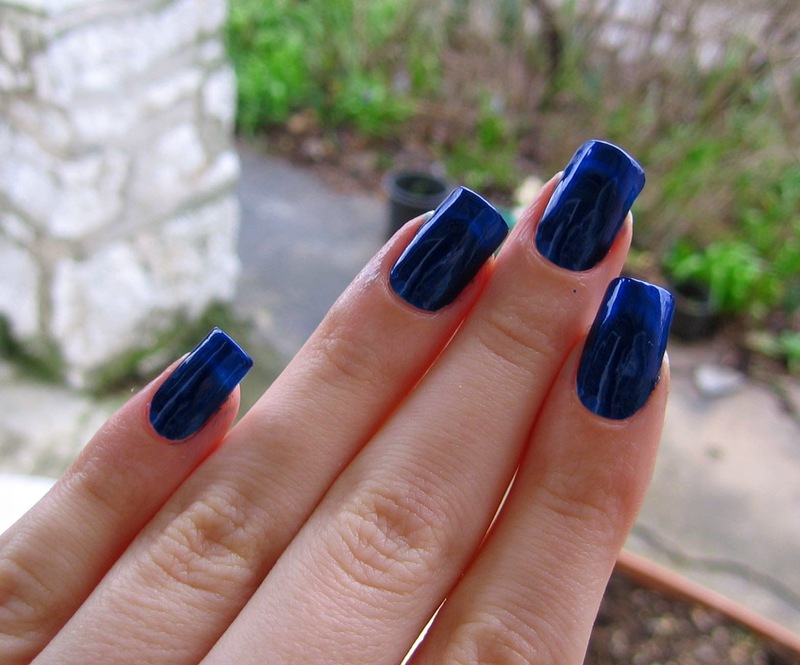 This is the nail polish without top coat. Unfortunately there was not so much sun this day but the first two images represent very well the color as it is in reality. 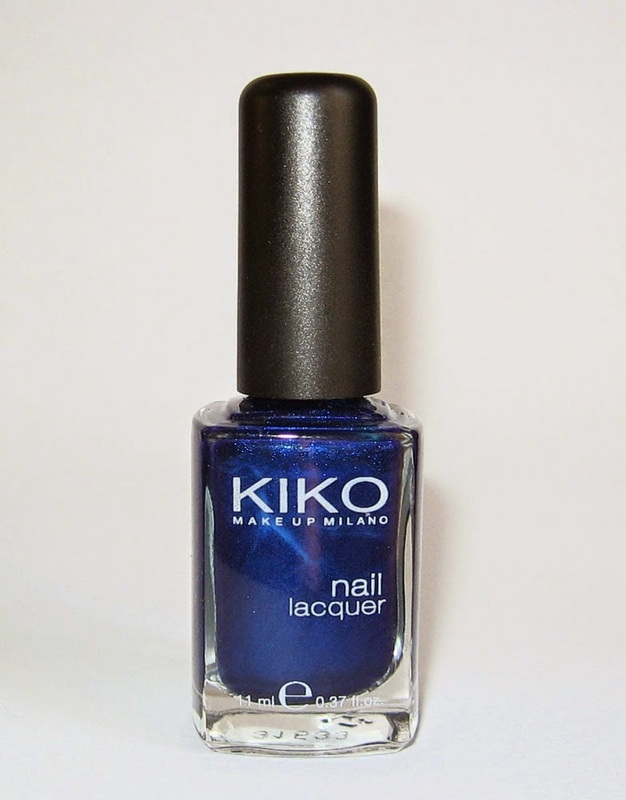 What do you think about Kiko nail polishes? 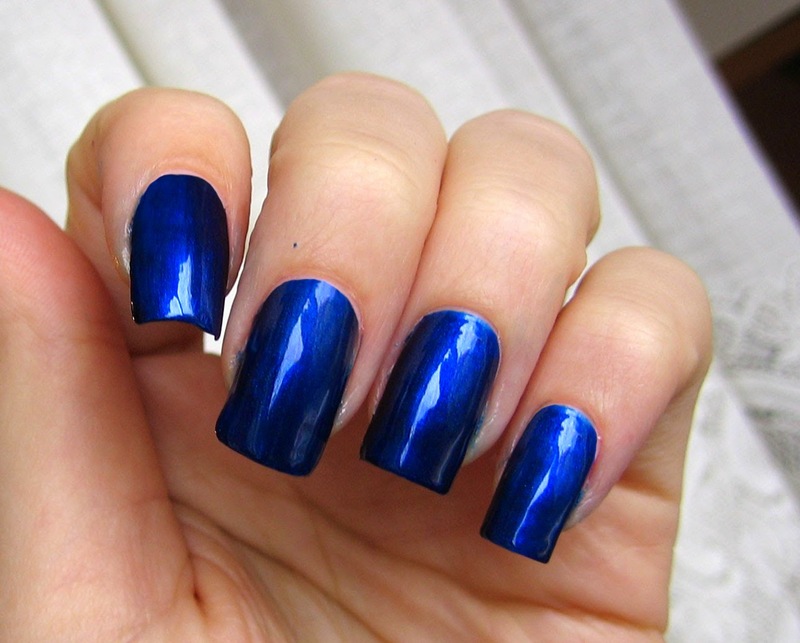 Do you like this shade of blue? Amazing shade! 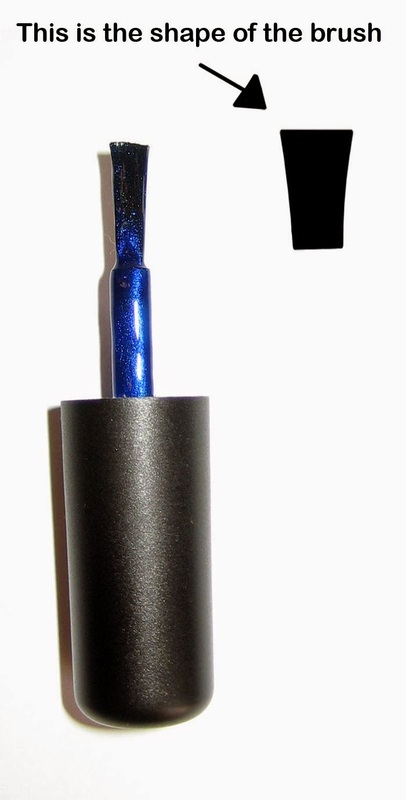 I have to admit I do not own enough shades of blue, this one would be great addition to my collection! thanks for sharing with us!